I was so happy to get a wonderful email Sunday 03/24/19 from my son Chuck. We talked on the phone Wednesday, and had some nice banter going back and forth messaging Thursday eveing while Sue and I were out at dinner celebrating our connection with him. 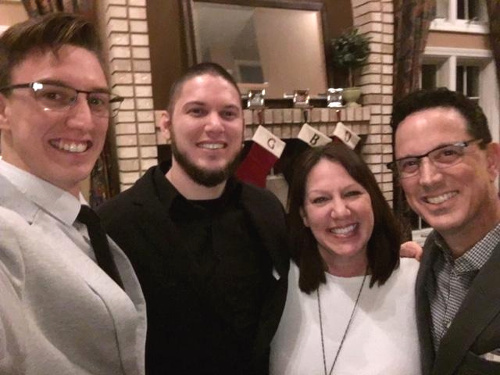 Chuck's sons, Graham and Braden, his wife Denise, and him. It was actually our first visit to The Lodge at Smith Point in Alton, and we were very pleasantly surprised at how not only good the food was, but how warm and comfortable the new owner had renovated the building. While there, I had sent Chuck a the picture of Sue and I (below) toasting to him with wine glasses raised, and we got into quite a nice messaging exchange. He was actually working, and sent a picture (below) to document that. I kidded him that he was missing the wine, and sent another picture (below) of our meals to tease him. It had gotten pretty crisp out as we left the restaurant to head back home. On the drive up as we passed Alton Bay, we saw that not only it, but also all of the lake that we could see was still frozen over. Our waitress, Sarah, had commented that at least folks had pulled in all of their ice fishing huts. She said that some years, the ice will melt along the shore so quickly that many of them slide into the water and need to be towed out. 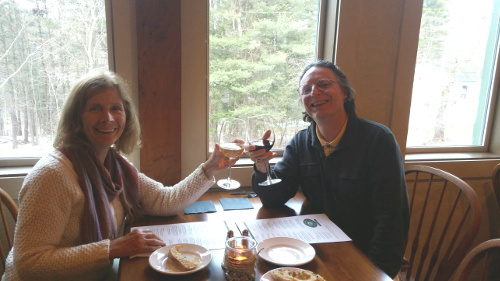 Sue and I at dinner Thursday 03/28/19 at The Lodge at Smith Point in Alton clebrating having Chuck in our lives. 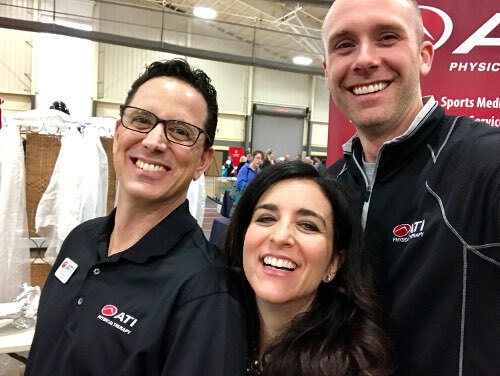 Chuck's text message back to us showing him and co-workers at a trade show. 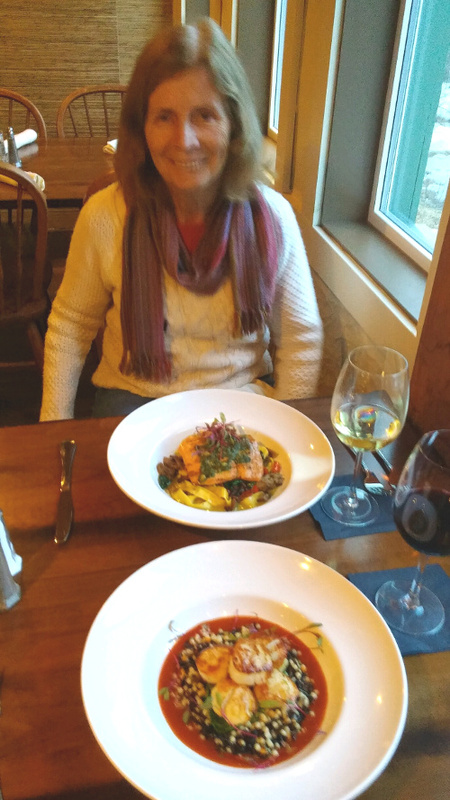 Our terrific dinners: Sue had the The House Pappardelle (a marvelous grilled pesto salmon, while I thoroughly enjoyed their Pan Seared Scallops. 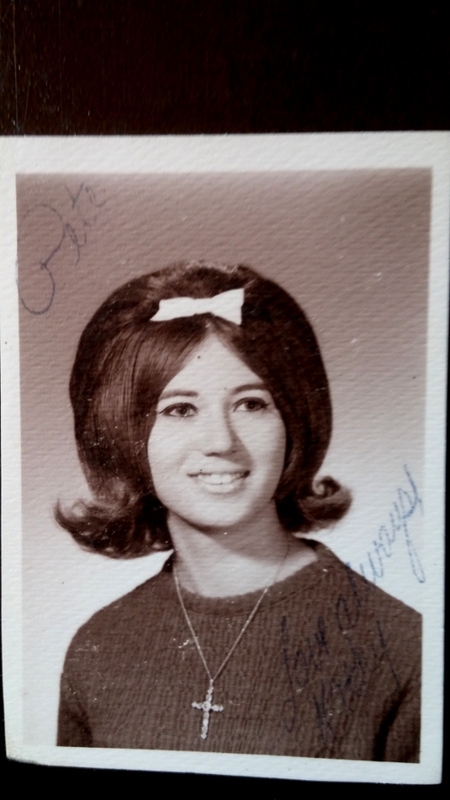 High School picture of Chuck's mom, Kathy. 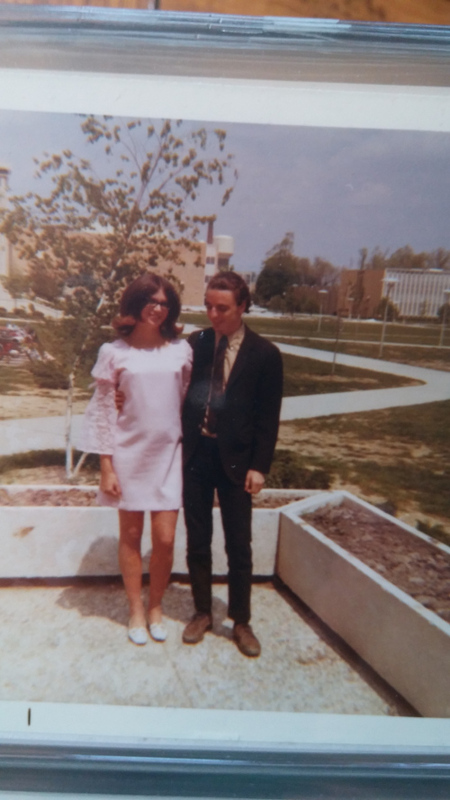 Kathy and me outside of my dorm at college, 1969.